1. Running game will be stellar this year as long as they go to the left side. Result: I was right but I didn’t expect Sitton to be out most of the year either. Tunsil is an absolute stud. 2. When in the redzone, we will score but we will struggle to get there. Result: There’s no exact formula for measuring how well an offense drives the ball but when you are one of the last teams in the league in both converting on third-downs and time of possession, you don’t need the game reel to tell you that you are a bad offense. 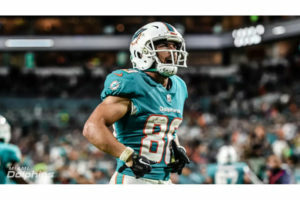 I was really expecting a lot from our recently-drafted TE duo in Miami. I had hoped that particularly Gesiki would create those mismatches in the redzone that will going to produce more scores for us and it just didn’t happen. I was half-right, I guess. 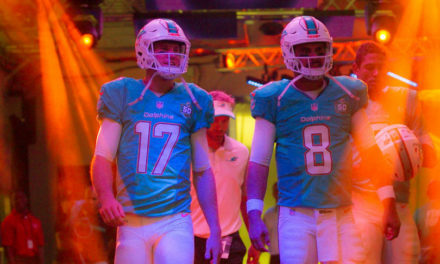 Rebuilding the offense should be top priority this offseason. 3. Our pass-rush defense should be fine provided their were no injuries. Result: Losing William Hayes and Vincent Taylor was tough. I bet if we had both those guys for a full season, we would have been in the top 15 at least. I’m giving myself a point on this one. 4. Linebacker unit could end up being our biggest strength this year. Result: How silly of me to think that our Defensive Coordinator, who also happens to be a LBs coach has had two drafts catered to his side of the ball in the time that he has been a coordinator can’t do better than 31st. How silly of me, indeed. Missed out on this one. 5. Our safeties will get plenty of interceptions this year but our cornerbacks are a different story. Result: In total, the cornerbacks actually did better but honestly, Howard did most of the work. No point this time. 6. We aren’t going to make the playoffs this year because the QB position was not upgraded. 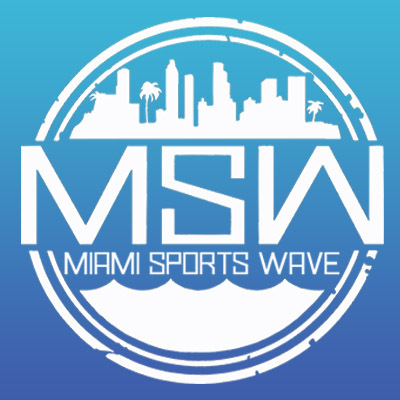 Result: It was absolutely foolish to not give Tannehill any kind of competition because for one, he is coming back from a serious injury and two, he has never been able to get the Dolphins to the playoffs, let alone, produce a winning season. I knew this. Why didn’t the front office? Point for me, though, this is one of those times, I hate being right. 7. 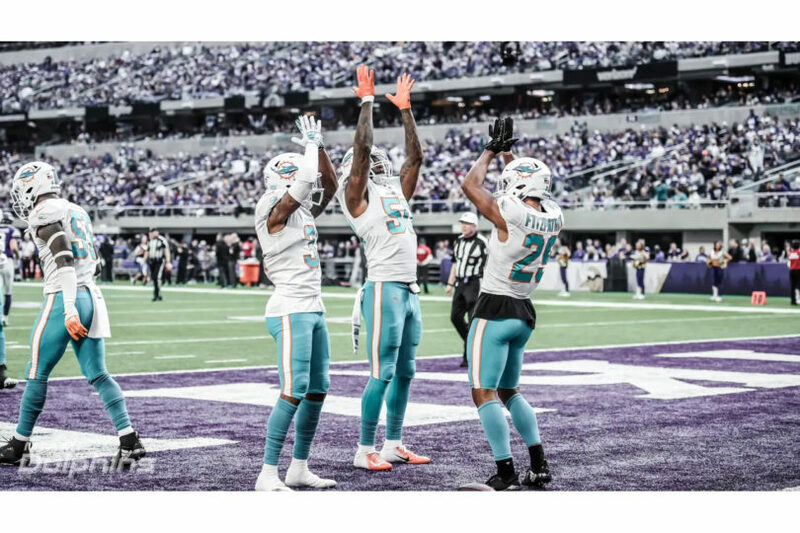 Receivers will have a down year now that Landry is gone. Result: I wasn’t as upset with losing Landry as I was with who they brought in to replace them. Surprisingly, they did alright. They weren’t great but they weren’t terrible either. Point for me. 8. O-line play will decline this year. -In 2017, the offense allowed 33 sacks. -In 2018, the offense allowed 52 sacks. Result: The front office handled this unit completely wrong. Why would you bring back Ted Larsen who spent half of 2017 on injured reserve to play backup to another old offensive linemen? 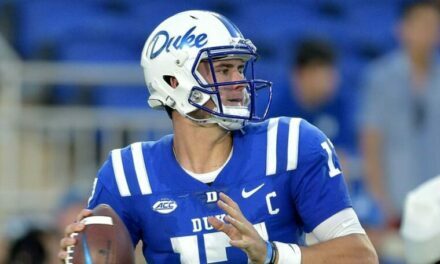 You got younger at center when you traded for Kilgore but in an o-line heavy draft class, why would you not try to bring in some competition for Kilgore and Davis? Better yet, why would you not bring in any depth for JaWuan James, who is entering a contract year? Another one of those mysteries that Dolphin fans will be left to ponder. Point for me. I wrote these predictions sometime during training camp. 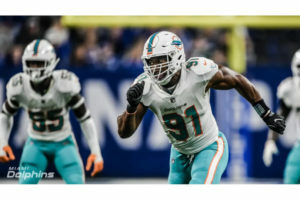 It was before I had joined DolphinsTalk.com and since I am dedicating this whole month to reviewing the 2018 season, I thought I share it with you. 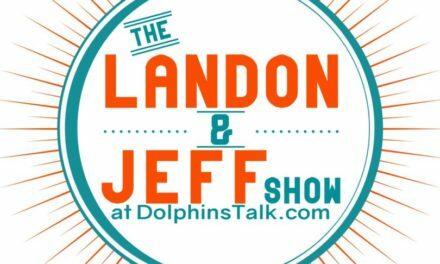 Hope you enjoy it and be sure to follow @DolphinsTalk for all the latest updates surrounding the Miami Dolphins.